Hey ya'll and welcome to another What's Hap-'Pinning' Wednesday where you can share anything your little heart desires! 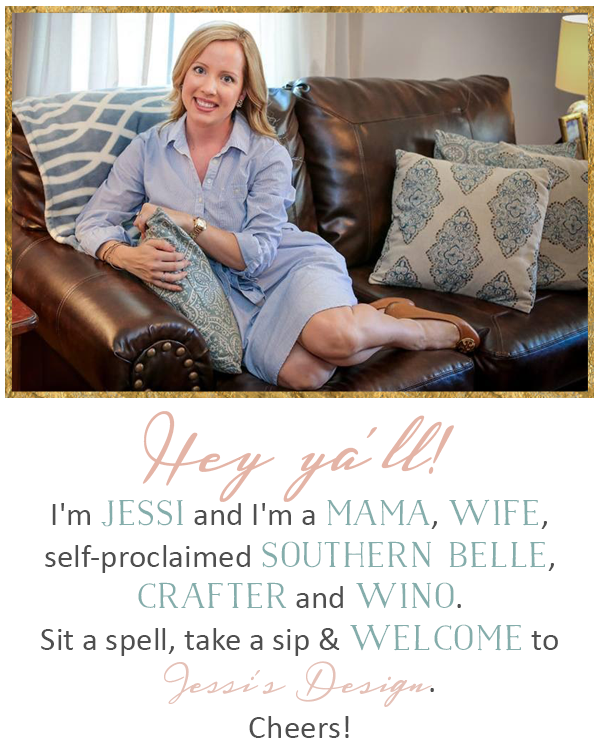 Grab our button and link up below - we can't wait to hear from ya! Today I'm sharing some random snapshots of life lately and also sharing a confession. 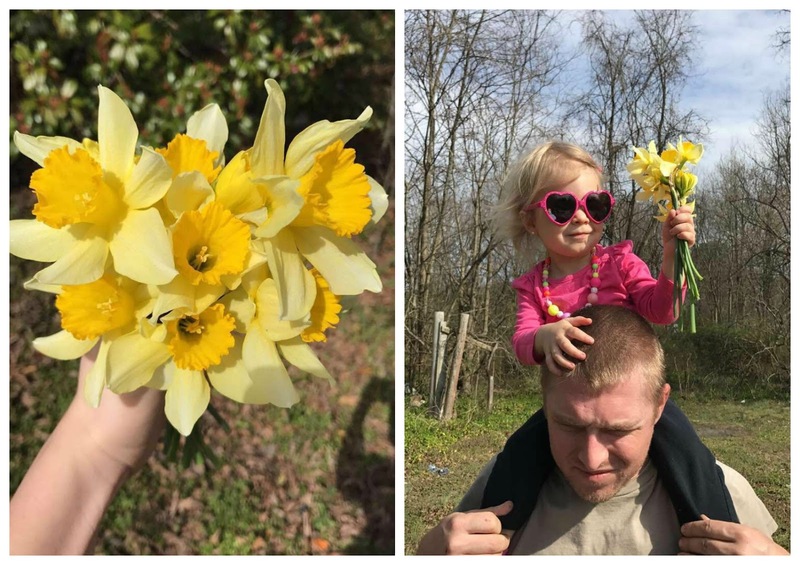 We've been enjoying this crazy and random Spring-like weather and spending lots of time outside picking flowers. However, yesterday, the farm behind us spread chicken you know what all over their fields and I swear ya'll I was gagging outside every time the wind blew in our direction. Talk about an outdoor buzzkill! Oh and we're supposed to get snow on Sunday...I seriously can't keep up. We've designed a little porch and outdoor space and hammered down exactly what we want. Coming out of our back doors leads you to a tiny slab of concrete with no railings and its sort of dangerous. We're going to expand it a tad with flower boxes and rounded steps and add a railing. 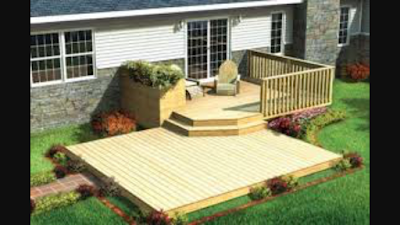 The steps will lead down onto the concrete patio with a built-in grill station and we'll keep the patio table. Basically we're doing this because the two real estate agents that came to assess our house, said it looked like the only issue. Yes, I said two real estate agents. We're thinking about placing our dream/reno home on the market JUST to see what happens. We really want to be back in Farmville and the heating and cooling would be nice if it came from this century. There's LOTS to consider but we do love a good project and we're just toying with the idea. CRAZY huh? We'll touch more on this later. In the meantime, you can see what we've done to this home over the last few years by clicking on the home reno labels or tab! Another big event coming up - Miss A's SECOND birthday! Ah I can't believe it! 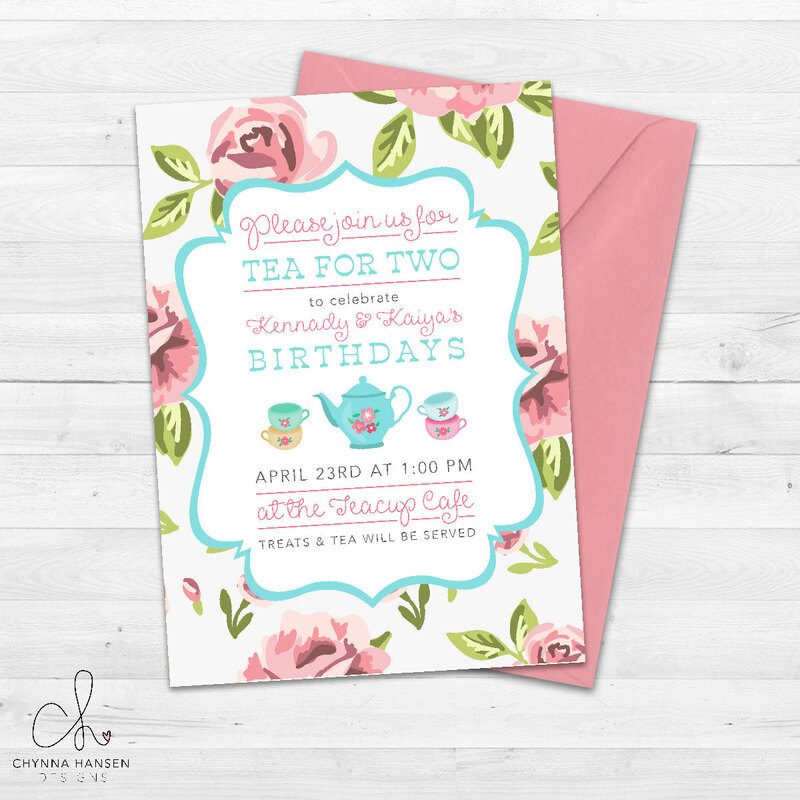 I just ordered these little invites for her 'Tea for Two' birthday party next month and I just love them (obviously not personalized in that photo but the template is the same) Finalizing the guest list too and trying to cut back but man its hard! I even have her little dress already. I actually bought it with my father before she was born. We saw it in a little consignment shop in a downtown mall and literally couldn't leave without it even though it was a 2T. I'm so excited but also a little emotional to see her in it! Time slow down please! I love the birthday party idea! A tea party is such a cute idea for a little girl! Can't wait to see how you pull it off! I love the tea for two idea-how precious! I am excited to see how your back deck turns out-I love seeing inspiration for designing outdoor spaces! That back porch is going to be gorgeous! And those invites, adorbs! I'm also loving this beautiful spring weather! And what a cute birthday theme! I can't wait to see more details from her party! It is going to be darling. That deck will be great - even if it is just to sell or if you end up enjoying it for longer! I cannot believe Miss Andi is going to be 2!! She is the cutest!